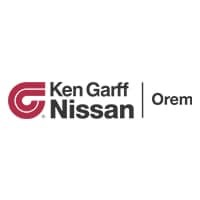 Ken Garff Nissan of Orem’s Service Department is is the best place to service your vehicle. Whether you’re in need of regular mile-stone maintenance, an oil change, or auto repair services, we have the facility, technology, and knowledgeable staff needed to help you. You can schedule your service online with one of our Service Advisors. Ken Garff Nissan of Orem’s team of technicians, including ASE certified technicians, are here to address your service needs. Our team is trained to accurately diagnose any issues your vehicle may have. We understand how important your car is to you and will try to service your vehicle as quickly as possible. Save 45% on synthetic, semi-synthetic, and diesel oil changes, tire rotations, and car washes when you become an AdvantageCare member today.